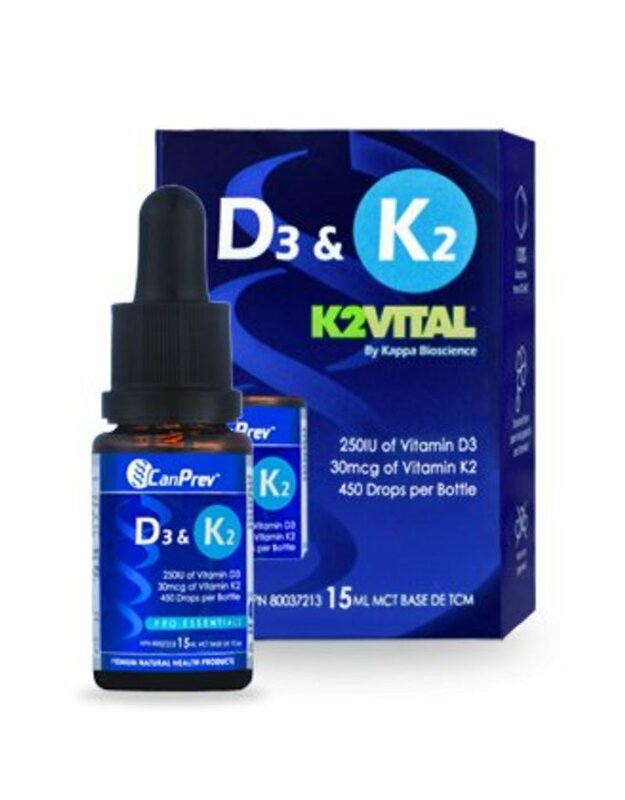 CanPrev’s D3 & K2 drops has been reformulated with K2Vital, a unique form of MK-7 that is soy-free, plant sourced, and 100% trans form, yielding a pure, bio-active form of vitamin K2 MK-7. These fat-soluble vitamins are suspended in a medium chain triglyceride (MCT) oil base. MCT oil consists of stable fatty acids that enhance the absorption of fat-soluble nutrients. 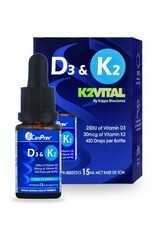 Get the benefits of a sunshine vacation every day of the year with CanPrev’s D3&K2! Medium chain triglycerides from coconut and palm sunflower oil, d-alpha tocopherol.